Wayne Bergmann is recognised as one of Australia’s leading advocates for Indigenous self-determination through economic empowerment and opportunity. A proud Nyikina man, boilermaker-welder and lawyer, Bergmann has served as Executive Director of the Kimberley Aboriginal Law and Culture Centre (KALACC), CEO of the Kimberley Land Council (KLC), Chair of Walalakoo Aboriginal Corporation, Chair of the Expert Indigenous Working Group for the COAG Investigation into Indigenous Land Administration and Use, and the CEO of KRED Enterprises, an Aboriginal charitable foundation. Peter Murray is a Ngurrara Traditional Owner from the Great Sandy Desert in the Kimberley region of Western Australia. He is the current CEO of Yanunijarra Aboriginal Corporation, which manages approximately 77,500 square kilometres of Ngurrara native title. He is also the current Chairman of KRED Enterprises, an Aboriginal charitable trust committed to independent Aboriginal economic development. In both roles, Mr Murray is committed to creating opportunities for Aboriginal people to live on country, work on country, and teach about country. In 2013, he advocated for Indigenous land management at the World Indigenous Network’s conference in Darwin, and the Wild10 conference in Salamanca, Spain. He has previously served as a Police Aide in the West Australian Police Force and as the Ngurrara Country Project Manager for the Kimberley Land Council. Gordon Marshall is a Karajarri Traditional Owner. He’s worked with Main Roads Western Australia, as an Aboriginal police liaison officer and mustering and fencing on cattle stations across the Kimberley. Gordon was also part of the National Service in 1972. He now hosts a radio show every Saturday on 6DBY which is broadcast nationally. Jodie has over 25 years’ pre and post admission experience as a Chartered Accountant. She has been part of the KRED team for 6 years and has acted as a director for the past 4 years. She has 18 years’ experience working with Kimberley Indigenous Corporations, initially as the founding CEO of KdoubleA, an Aboriginal owned and operated accounting and bookkeeping service in Broome. Jodie loves working for KRED because every day is different. She says she's constantly learning from the amazing women around her. Traditional accounting roles don't offer the same inspiration and challenge as accounting for KRED! Amanda's a Karajarri and Yawuru woman who has been with KRED for the last five years. She says the best element of her job is getting to work alongside her people, Kimberley Traditional Owners, and empowering Traditional Owners to make decisions and take control of what happens on their land. Before she started with KRED, she held positions at Kimberley Renal Services and Broome Regional Aboriginal Medical Service. Outside the nine to five, Amanda knows her netball. She's part of the Djugun Flames Netball Club and Broome Netball Association. The thing Racheal Albert enjoys most about her job, is getting to meet new and different people from all across the Kimberley. Racheal has been part of our team for four and a half years now, and she came to us after working as a book-keeper for Nirrumbuk Aboriginal Corporation. A proud Nyul Nyul and Yawuru woman, Racheal is a committee member for the Cable Beach Football Club and is heavily involved with their women's team. Three years ago, our Group Logistics Coordinator Kaupa Pitt was lured to KRED after working for the Kimberley Land Council's Land and Sea Unit. Kaupa loves that she's able to make a difference by helping Traditional Owners to protect their cultural and environmental heritage. She also enjoys working as part of a small team that works hard and is committed to coming together and making things happen. When she's not in the office, Kaupa's serving as secretariat of the Cable Beach Football Club. Leah McLennan is a journalist and editor. She recently joined the Ambooriny Burru Foundation and what she likes most about her job is promoting the fantastic work KRED's member groups and subsidiary companies are doing across the Kimberley. Prior to the Ambooriny Burru Foundation, she worked as a senior journalist at News Corp in Sydney. Hayley is an experienced legal practitioner whose areas of practice include complex commercial dispute resolution and human rights advocacy. In her time working with Arma Legal, Hayley has run successful Full Federal Court litigation, setting a new precedent for the protection of native title parties’ rights under the Native Title Act 1993. Hayley has also negotiated high benchmarks in cultural heritage protection and achieved strong commercial outcomes for native title parties faced with resource development in the Kimberley. John is an experienced lawyer with over 20 years experience including 8 years as legal manager for an ASX Top 50 mining company. He has worked on mine development project teams, native title negotiations, land access and commercial and corporate issues. Ashley is a proud Nyoongar/ Yamatji – Yugunga Nya man, born in East Fremantle and lived in Perth his entire life. Ashley is a lawyer, having graduated from the University of WA in 2011 and admitted to Legal Practice in October 2015. He has experience in Commonwealth Government departments including the Department of Defence and the Department of Immigration and Border Protection (Citizenship). He has worked as a lawyer for the Australian Securities and Investments Commission, the Aboriginal Legal Service of WA, and the Yamatji Marlpa Aboriginal Corporation. Ashley is a UWA Masters of Laws postgraduate and is keen to see Aboriginal peoples’ native title rights and interests recognised in Australian common law through the provision of legal representation provided by Arma Legal. 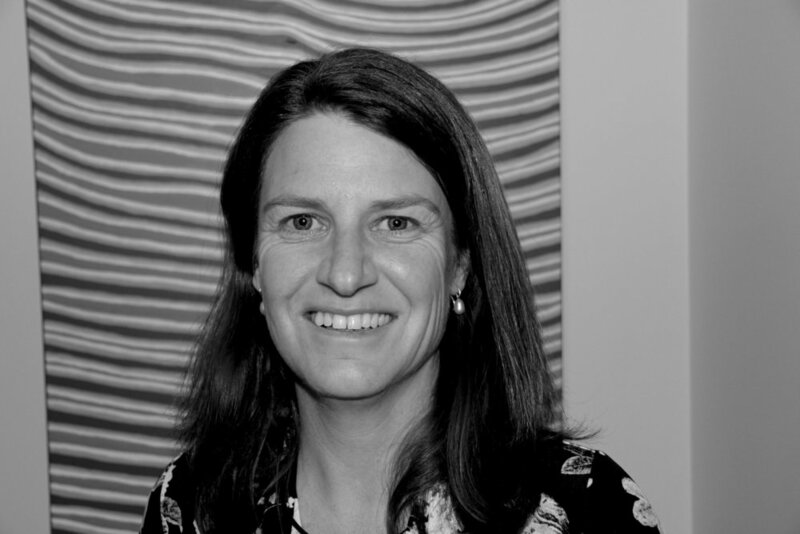 Katie has worked extensively in Native Title, environmental law, heritage law, Indigenous governance and community engagement. She has a broad background in statutory regulation and administrative policy co-ordination, community based project design and development and implementation of heritage policy. Melissa provides the full range of commercial and personal legal services, with unique specialist expertise in intellectual property and technology law. Melissa has also worked extensively in both native title and Aboriginal land rights regimes. Annette Heininger is an experienced legal practitioner with a focus in corporate risk and governance, commercial law, contract law, and administrative law. She has a wealth of experience in many areas, including legislative review and amendment, regulatory regimes and enforcement (especially licencing), government procurement contracts, and policy and procedure. Annette has also held the position of Secretariat on a NSW Government Department’s Audit and Risk Committee.